Reconciliation is a weighty word. It implies action and outcome, and requires courage, vision, rectification, commitment and cooperation. The act of making things work better and establishing friendly relations is its foundation, achieved principally through listening. 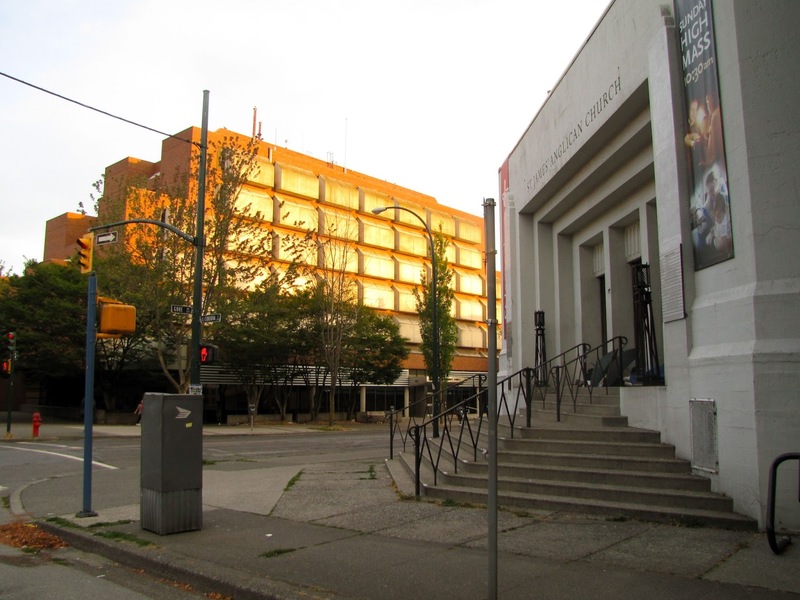 In the spirit of the times, Vancouver City Council is involved in the reconciling of its architectural and planning past, with a $2 million grant awarded to a project on St. James' very doorstep in which a former jail will be transformed into real homes. Anyone who has looked out the windows of the Bishops' Room on Gore Avenue may have noted the brick and concrete edifice across the way. Richard Henriquez designed this striking and unique building in 1972 for use as the Remand Centre. The former jail has been empty for over a decade; and for just as long, it has been the vision and goal of his son (and lead designer of the Woodward's redevelopment), Gregory Henriquez, to re-purpose this building into quality mixed-income housing. After years of discussion and negotiation with collaborators, a plan was formed so that a provincial asset could be recycled into a community asset, and new social housing built at a fraction of the cost of a new building. The project is slated to begin early in 2014, with BC Housing providing the major funding and the Bloom Group (former St. James' Community Service Society) overseeing management: anticipated completion by mid-2015. 250 Powell Street will have seven floors of housing with 81 studio units and 14 one-bedroom units, for a mix of people on income-assistance, working individuals, and couples with low to moderate incomes. An additional 37 units will be run by ACCESS BladeRunners who assist mostly aboriginal, homeless youth aged 15-30 with life-skills and work-ready training for the construction industry. 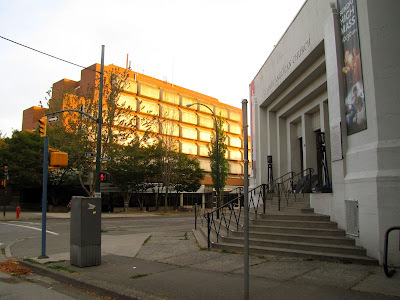 Their participation in this community project deepens the level of social commitment and increases the likelihood of success for those at greatest risk in the Downtown Eastside. The on-going competition for available rental space and real estate is heating up, as the downtown core continues to redefine and revitalize itself while at the same time putting pressure on issues of accessibility, inclusivity and affordability. Although the area is in the grip of a transformation, it remains to be seen if those in power are motivated to embrace the disparate and incompatible elements and reconcile a balance that benefits all. This creative rapprochement of city, province, designers and social service societies is poised to benefit the community at large, and provides a timely contribution to the momentum of this Year of Reconciliations.